The clues are in front of us daily. Communication is all around us! Language Arts, English, is communication, and communication is sharing meaning. How many ways do we communicate? Your summer project for English is to search out the clues and discover how many times and how many ways you use your language arts skills every day. We speak. We write. We read. But, are you aware of how much you use these skills in your daily life? You are to keep a journal, or a scrapbook, or a combination of both to record your clues into the adventures of speaking, writing, and reading this summer. The result will bring great rewards when school begins again in the fall! You can use a variety of sources. I have a website, and I’m still writing the blog I began a few summers ago. Check it out for suggestions for reading, writing, and other activities in the months of June, July, and August. You can respond to either if you like, and I’ll keep a record of it to add to your summer extra credit. Complete a booklet of crossword puzzles and word games. Learn a new vocabulary word and use it every day. Discover the history of the word. Write letters to your favorite authors about the latest book you’ve read. Keep a copy of the letter – and the reply from the author if you receive one. Create a Book Club with your friends or family. Read and discuss books or short stories. Read as many books as you can, written by one author. Which is your favorite? Give a Public Speech for a group with whom you are involved. Record the experience. Write a Travelogue of one of your summer trips or adventures. Weekly/daily write in a journal exactly what you have read: books, newspaper, magazines. Read a book – then watch the movie. Compare the two. Which is better? Follow a series or a columnist in the newspaper or in a blog and write a commentary. Create a newspaper for your family and friends. Write and produce a play or video. Ask your friends to help. “Publish” a book of poetry, short stories, or essays. Join the summer reading program at your local library. Go see a movie or a play. Be a CRITIC and write the review. Become “friends” with a character in your favorite book and make a “scrapbook” of your friendship. This can be paper or virtual scrapbook. Take a summer English class – or writing class – or drama class. Choose a genre (mystery, science fiction, historical novel) and see how many different authors you can read that write in that genre. Which author handles the style best? Create a web site – share all the information you can about a particular author or book – or information on vocabulary – or information on grammar – or a site devoted to your writings: stories, essays, criticisms. * Check out your local LIBRARY for their Summer Reading Program. * Take a class this summer that includes reading, writing, or performing! It’s elementary, my dear Watson; summer extra credit can be fun! 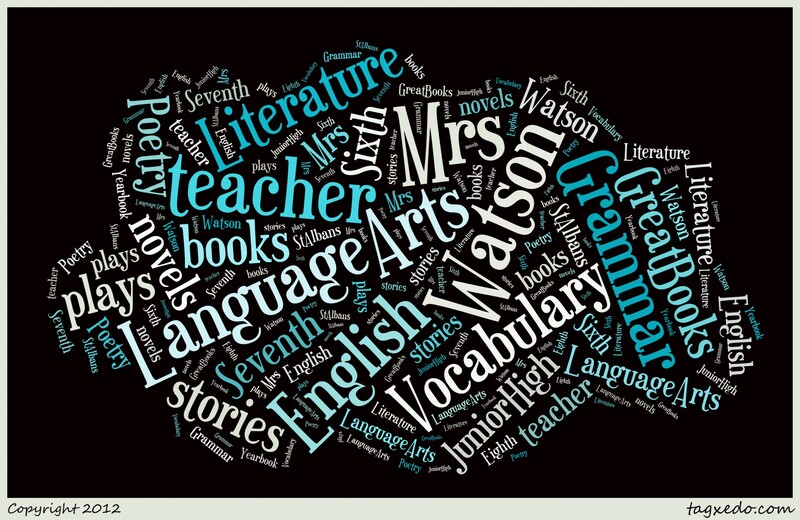 This entry was posted in Writing and tagged Communication is sharing meaning, Ideas for summer English, It's Elementary, my dear Watson, Newbery winners, St. Albans English Summer Extra Credit, Summer, Summer Extra Credit, websites for English practice, Writing ideas for junior high. Bookmark the permalink. How do we create a website? There are many ways to create a website. If this is only for Summer Extra Credit, you can use PowerPoint to create as many pages as you would like in the format of a Web page. You don’t have to go to the Internet to do this. There are many sites available where you can create a free webpage. Often they will want you to pay for extra services – I do NOT recommend spending any money. The basic services are fine for the summer extra credit project. Here are some places for you to check out. I hope this helps. Let me know if you have a blog or website I can visit. New Summer Smash Extra Credit pages.